Leeds is a trail head for the North Central Snowmobile Trail which consists of 250 miles of groomed trail. The riding is 80% cross country with the other 20% ditch riding. The trail gives the rider a great cross section of terrain that North Dakota has to offer. 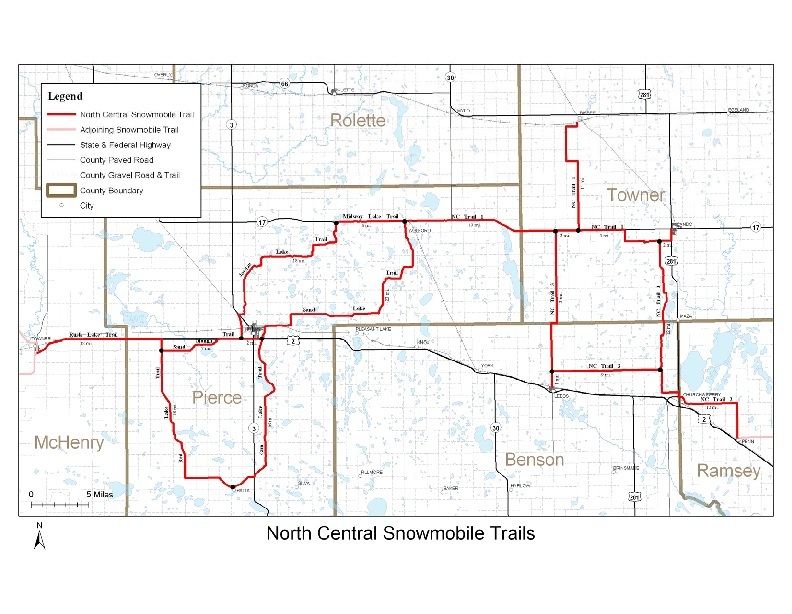 The North Central Trail system is very unique because it is located in four different counties and connects to three other trail systems. The counties it lies in are Ramsey, Benson, Towner, and Pierce. The system serves the communities of Penn, Churchs Ferry, Cando, Bisbee, Wolford, Leeds, Rugby, and Balta. The North Central Trail connects to the Lake Region trail to the east and the Sno-Trails system to the west.